Want to try something special and unique for dessert? Well, then we have a perfect recipe for you guys. 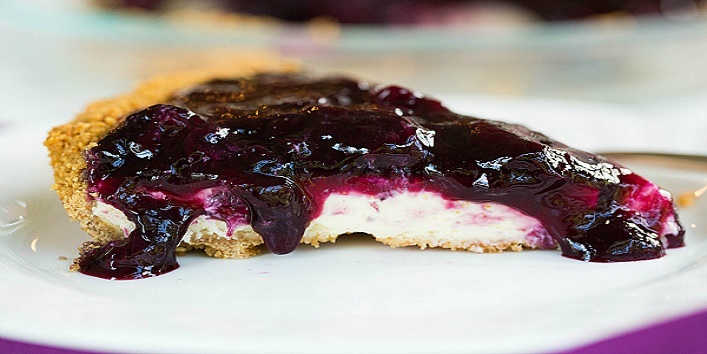 Berry cream pie recipe is an easy dessert that you can make using simple ingredients. Made with berries and cream, this recipe has a rich flavor which will definitely soothe your soul. And you can also serve this amazing dessert on the occasions like kitty parties, buffets, and get-togethers. So, try out this recipe at home and enjoy with family and friends. First, place the pie crust in a pie plate. In the meantime, preheat the oven to 400 degrees for about 5-10 minutes. Now, take a bowl and mix flour, milk, whisked eggs, cream, and vanilla essence. Then, take another bowl and mix cinnamon, sugar, nutmeg powder, and some flour. In the same bowl, add melted butter and mix to get a smooth mixture. Now, start placing the layers in the pie plate. First, arrange berries at the bottom of the crust. In the second layer, add the custard filling and crumb filling at the top. Now, place the pie plate in the oven and bake till it’s done. And your beery cream pie is ready to be served.